It's Christmas and a chocolatier shows up at Sweet's Sweets, offering to create a special line of hand-dipped chocolates for Sam's customers. He says he will work for no pay, just to prove himself. But she learns that he has connections to the wooden box that seems to give Sam her mystical powers, and discovers that certain evil people will do just about anything to take it away from her. 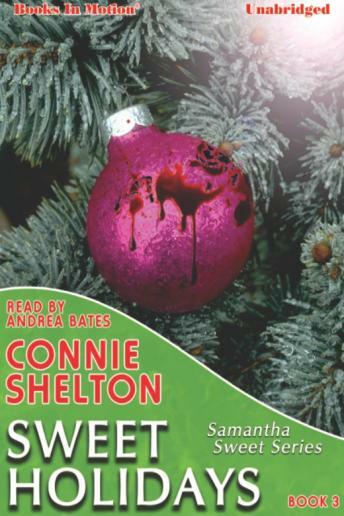 With the same combination of mystery, romance and the paranormal as the other books in this series, Sweet Holidays brings a bit of magic to the season.